I have previously written about the waste of billions of dollars by the government without any significant discipline for government officials. We have become accustomed to reports of unimaginable corruption and waste in Afghanistan from bags of money delivered to President Karzai to constructing huge buildings to be immediately torn down to buying aircraft that cannot be used. The common element to the stories is the absence of any reported prosecution or even discipline for those responsible. You can simply waste hundreds of millions of dollars and continue in your government position. This week’s outrage comes from a report of the Special Inspector General for Afghanistan Reconstruction (SIGAR). Thus, USAid can pay a $300,000 charge for 600 gallons of diesel fuel at $500/gallon but there is no punishment, let alone a prosecution. In the meantime, small programs for as little as $1 million domestically are being cut while we gush billions in waste. We can now add a half-billion dollars spent on refurbishing aircraft for the Afghan Air Force that have been left to rot unused in Kabul and Germany. 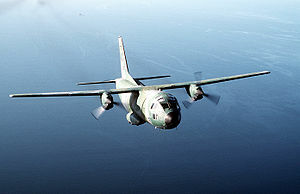 Ironically, the aircraft are called Spartan but there was nothing Spartan about the wasteful spending of the Pentagon which may now seek to destroy the aircraft. What is interesting is that, as with previous stories of wasteful purchases of Russian and Italian aircraft, the 20 G222s (C-27A) — military transport aircraft built in Italy — did not even bring money to U.S. companies or jobs to U.S. citizens. We then spent rough $500 million to refurbish the foreign aircraft that would never fly. Once again, a kid in Detroit can go to jail for hot-wiring a car worth two grand but Defense officials can just toss away a half of a billion dollars without serious punishment. We are currently borrowing 46 cents of every dollar and shutting down scientific and environmental programs. Yet, we continue our involvement in Iraq and Afghanistan and waste billions in an uninterrupted gushing of public money, not to mention our people who continue to be killed or injured in these conflicts. What is left would be a farce if it were at all funny. Just think of the amount of education this one plane/jet would pay for…..
Boondoggles are business as usual over at the Department of War and the cost isn’t only quantified in dollars and cents but in body counts and collateral damage. If there ever was such a thing as an “enlightened electorate” they died. Millions for defense. But not one cent in tribute. My Dogalogue Machine is back. Thanks to Beldar and the people of France. That is what happens when people spend other peoples money. Government is when a person gets to spend other people money for the benefit of others. They don’t care about the price or the product. Isn’t it nice that the so called bipartisan betrayal, I mean budget, protects the income of the defense department, cuts programs for humans and continues to allow corporations, banks and billionaires to avoid paying their fair share while sucking up as many government benefits AC they can. I missed the memo. Last I heard we were paying only $90/gallon. lol. I know about this issue personally! Can’t get into the classified issues, but now the Air Force is giving them to another branch of the service since the Air Force considers them dangerous and un-flyable. I belong to your Lew Tetlow Suit among others (Soaring Eagles Suit against the PBGC and the DOL VEVRAA against Patricia Shiu, etc.). This matter below was far worse than you are telling folks about. The planes were un-flyable and our men and women sat over in Kabul for over a year and were not allowed to fly them. (CONFIDENTIAL NO FORN). Stephen L. Avery, Indianapolis, IN. Under capitalism a company is entitled to make a profit after all. 20% markup isn’t so unreasonable is it? But again, the purchase of the Italian aircraft was probably a quid pro quo for some Italian support in the war. There’s little point in complaining about it. Note also that these sorts of things are usually done by elected officials, political appointees, or contractors, not by civil servants or ordinary military officers. In other words, you are denouncing ‘officials’ when this action was out of their hands and was undertaken by politicians either for private profit or for political expediency. I photocopied the article here and sent it to my Congressman. With my statement that he is not getting my vote. Flying over, when I can. And every one was a Karzai! She wouldn’t have a Willie or a Fred! There ain’t no name like Karzai! Karzai the 8th I am. How can I get in on that diesel fuel contract? Seems often times the US is involved in a war of attrition against itself.